TWINT is the ideal introduction to the world of mobile payments. 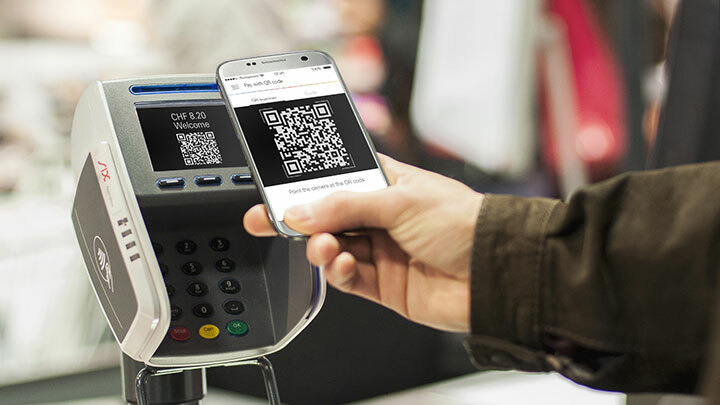 SIX also offers several solutions for processing TWINT payments: It’s easy to integrate TWINT into your payment terminal, e-commerce or cash register (using the Beacon add-on). On this page, you will find all the relevant information about acceptance of TWINT – be it in e-commerce or face-to-face business. TWINT is a simple and fast payment solution for e-commerce. Make payment easier for your customers and integrate TWINT into your online or app store. The check-out process is simple, as the user is not required to enter data manually. TWINT connects via the payment service provider. Contact us for TWINT acceptance so that we can make you an offer. In order to connect to TWINT as a payment method in your payment solution, contact your payment service provider. Contact your IT department or your online shop provider to ensure that the interfaces are current. Ensure that TWINT is added to the payment method overview pages in the online shop, or adjust any pre-selections. For the integration, use a standard shop system (e.g. Magento, PrestaShop, WooCommerce, etc. ), and our partner customweb will then provide you with the appropriate plug-in. You can find more information from customweb here. You will need the JSON API interface to be able to offer TWINT in your online shop. If you use an old interface, please change the interface. You can get more information here. Contact your payment service provider to discuss the different integration options in detail. Use your existing infrastructure and accept TWINT on your payment terminal. TWINT works on both fixed and mobile stand-alone and POS-integrated payment terminals with a display. The QR code generated is shown on the display and scanned by the TWINT app user. 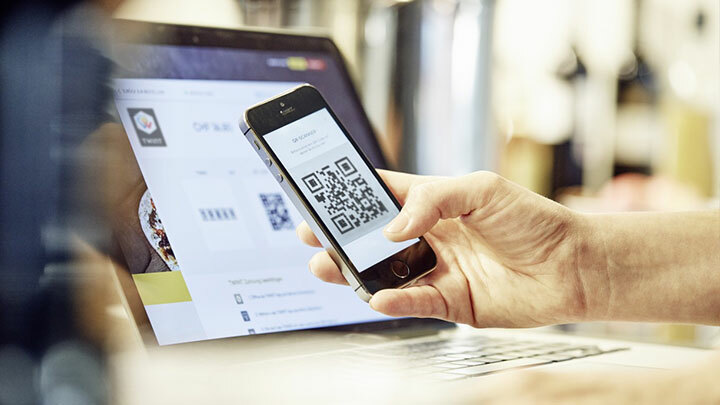 Clarify with your terminal manufacturer whether the payment terminal locations are suitable for online transactions, whether the terminal type you use has a QR-enabled display or whether a software upgrade is possible. Contact your POS integrator so that they can integrate the TWINT Brand ID and check the integration set-up. Check your installation in the ETU test environment and carry out pilot testing in one of your stores, if necessary. If you distinguish and edit payment methods (brands) in your POS application, the technical specifications are listed below. Implement this information in your cash register or POS application. Should you have any further questions, please do not hesitate to contact us at pos-integration@six-group.com. "Choosing TWINT means you have chosen an unbeatable payment method – thank you very much. Because TWINT reduces the check-out process in e-commerce for your customers and you benefit from a significantly lower cancellation rate than with conventional payment methods. Real added value for you and your customers." We offer a variaty of documents and information. However most of the information is in German, French and Italian only. Please concult the requested language to get the full overview of the available information. If you need another format or resolution, please get in contact with us. Contact I would like communications support. I require technical support. I have another question.